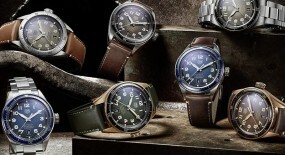 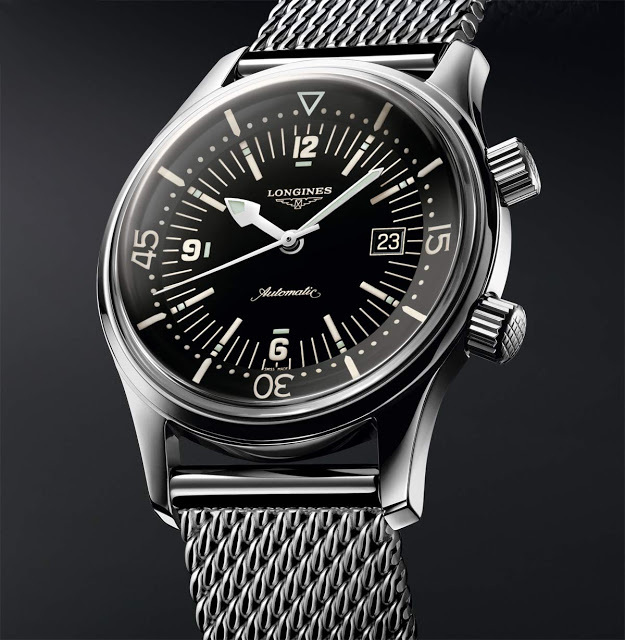 Longines keeps reaching into their back catalogue, as they present us with yet another re-envisioned watch. 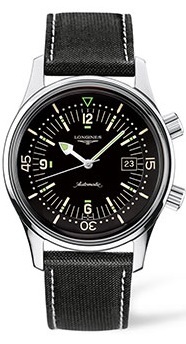 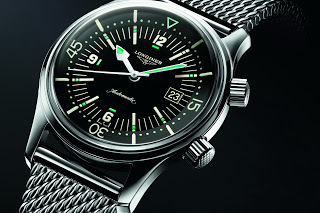 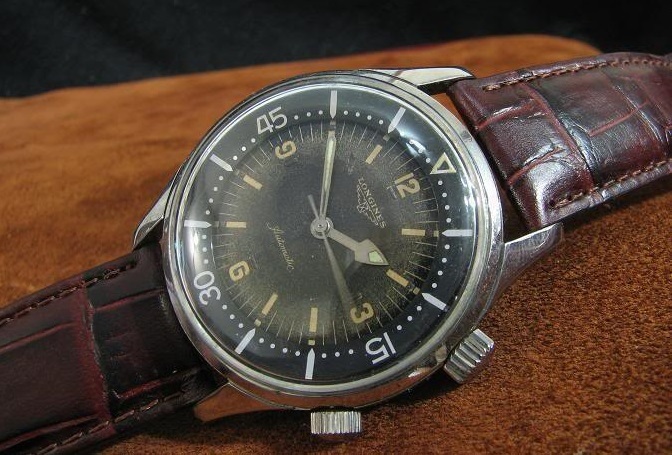 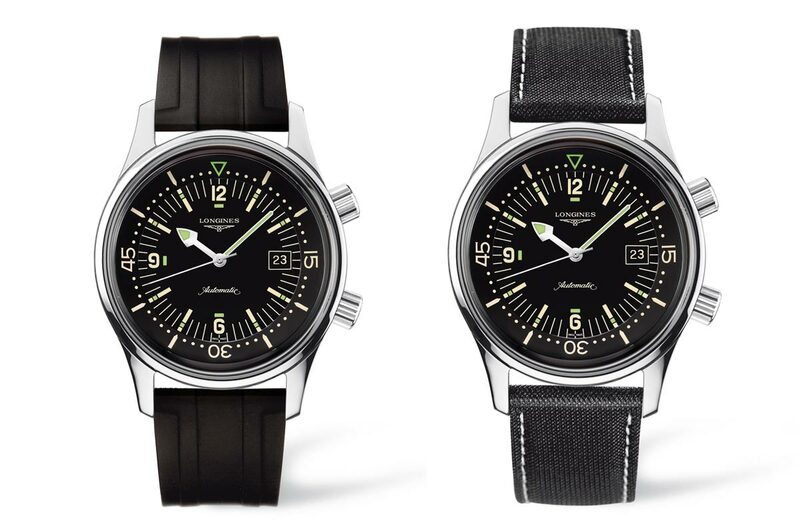 While also celebrating an anniversary in the form of this new “Longines Legend Diver” timepiece. 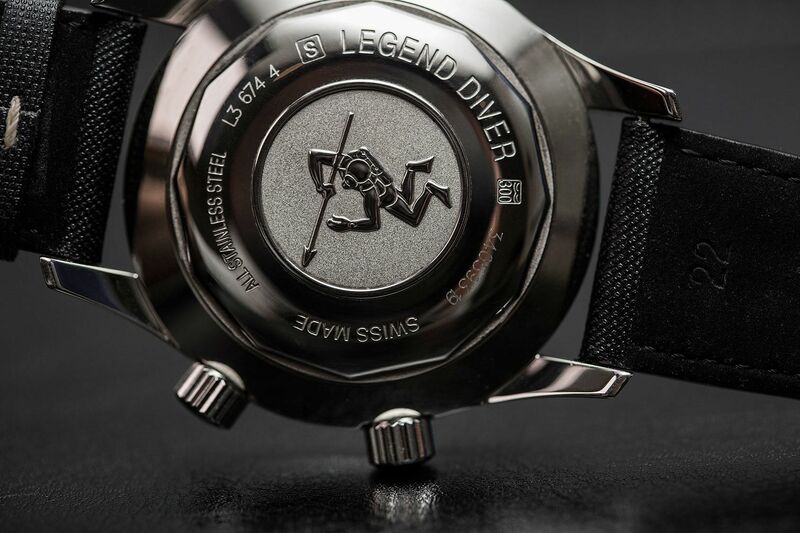 Originally issued in the 1960’s the “Legend Diver” model was a product of its era, being cased with a Plexiglass crystal that on its own reflects the technical limitations of 1960’s horology manufacturing. 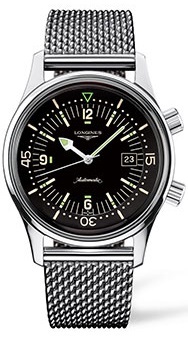 But, it still held enough appealing factors to interest Longines in reissuing it 10 years ago and to re-issue it now again in 2017. 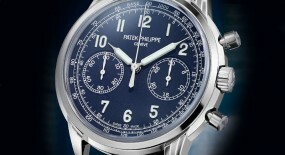 It now returns in a contemporary edition, featuring modern details that enhance its reliability. 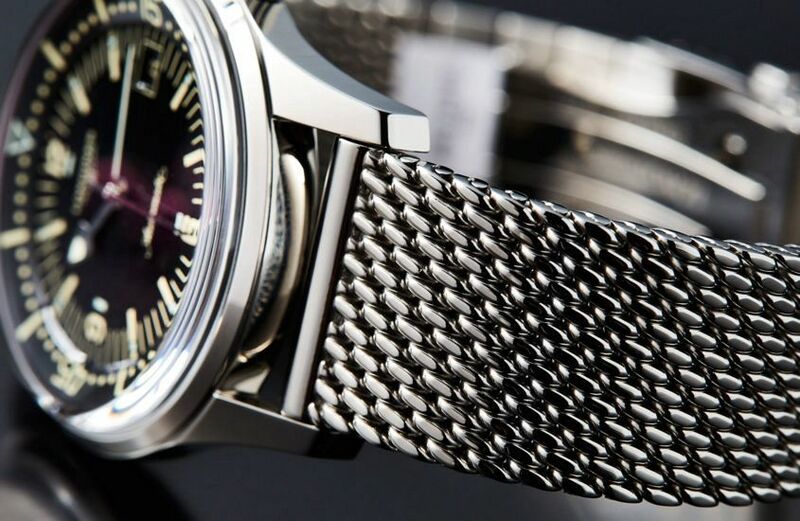 But, the main stand-out differentiating factor is this new version comes with a Milanese mesh bracelet. 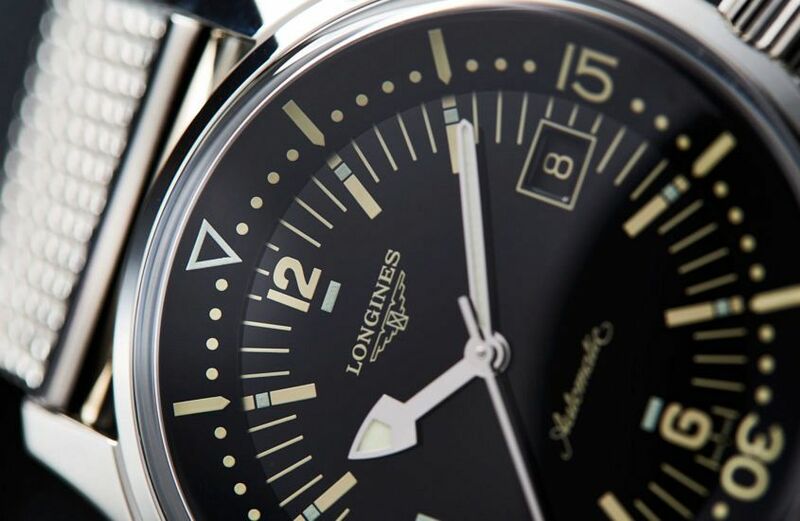 With such a vast history reaching back 185 years, it’s not such a surprise that the Longines brand keeps getting inspired by itself. The 42mm compressor case is made of stainless-steel with a screwed caseback that features a “diver” design engraved on it. 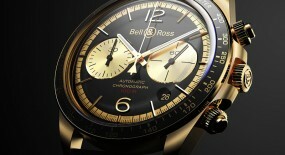 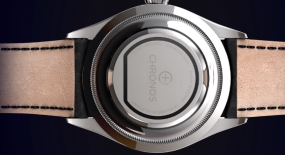 Its curving lugs and narrow bezel attribute the watch with a larger look and feel, but a sturdy fit. 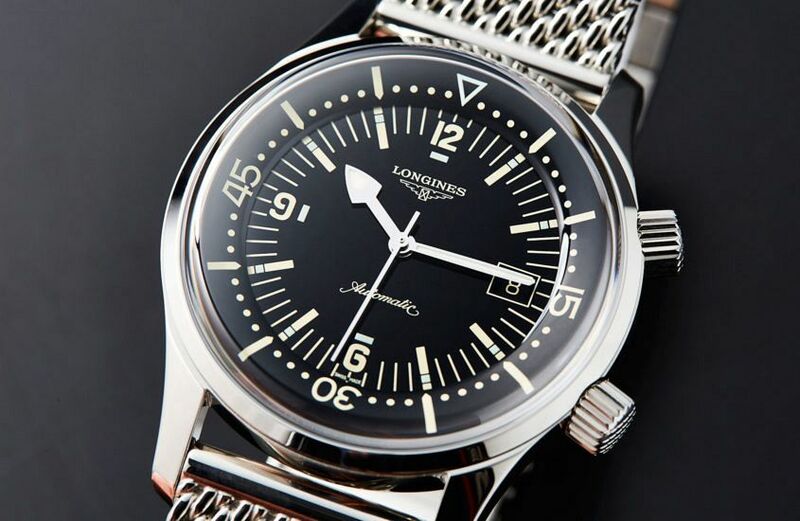 Otherwise the case has a simple efficient build with an overall polished finish, which assists in highlighting this watches detailed dial even more. 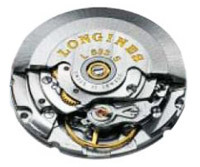 Comes equipped with two crowns on the right side of the case: the upper crown at the 2 o’clock position serves to move the internal bidirectional rotating disc; while the lower screw-down crown is used for setting and winding the mechanical movement. 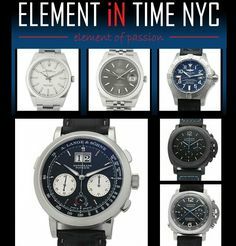 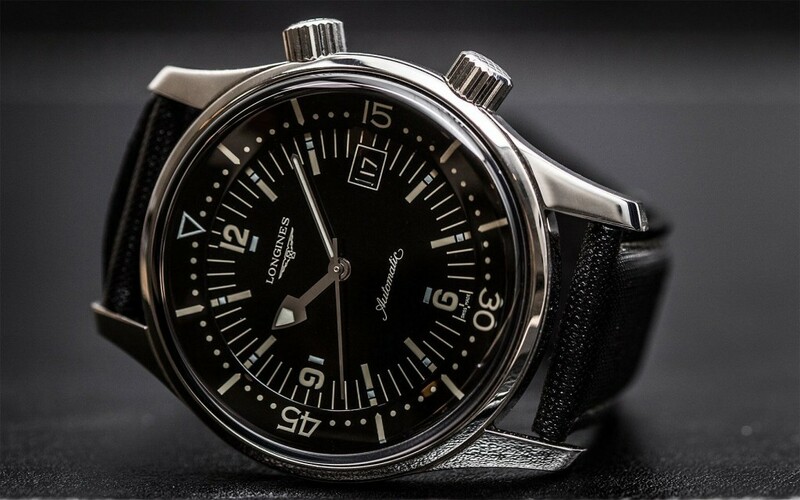 The screwed down elements and vintage domed crystal assist in keeping water-resistance on this timepiece able to reach up to 300 meters (984 feet). 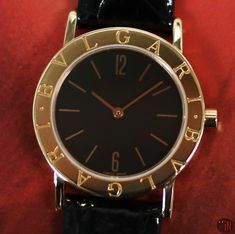 Time is exhibited on a black lacquered dial with stencil style Arabic numerals for the: 6, 9 and 12 o’clock positions, while also providing thick rectangular hour index markers all around. 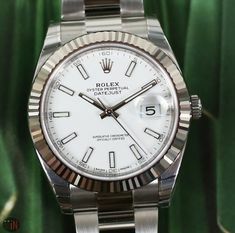 Also accompanied by smaller rectangular and dotted minute index markers and larger Arabic numerals for the: 15, 30 and 45 minute positions. 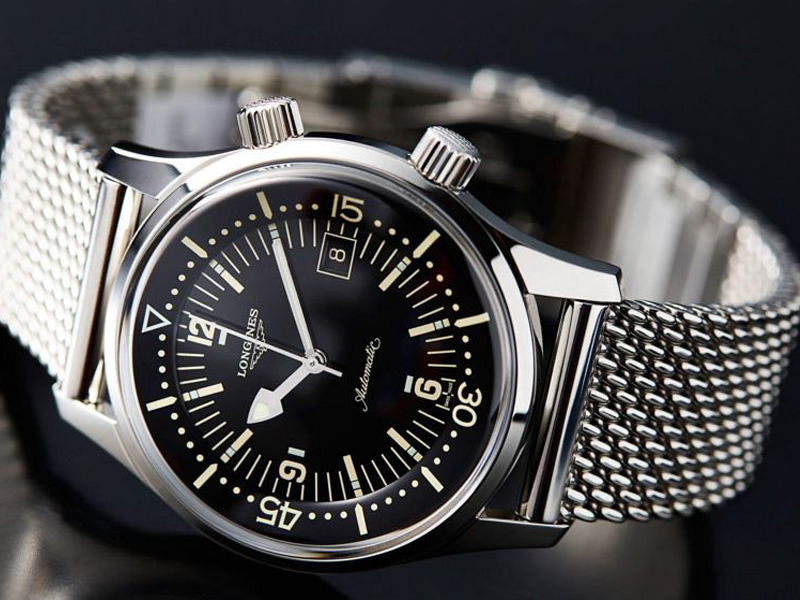 The glossy finish and depth of the dial, due to the inclusion of an internal bezel; all mesh together for a refreshing vintage look. 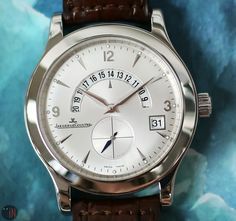 While its arrowhead rhodium-plated hands, numerals, plus index markers have all undergone a luminescent coating, for an enhanced legibility. 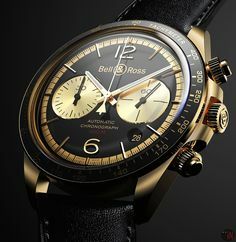 All in all a simple dial to read, even with the added: hourglass logo, cursive ‘Automatic’ text and the brand logo under the 12 o’clock position. 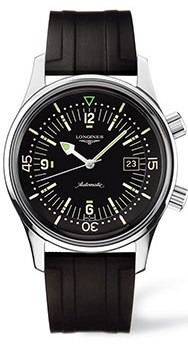 This “Longines Legend Diver 10th Anniversary” (References below) is powered by a self-winding mechanical movement, caliber L633 with 25 jewels and 28,800 vph. 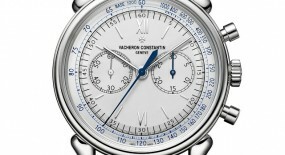 It’s based on the original ETA 2824-2 mechanical movement. 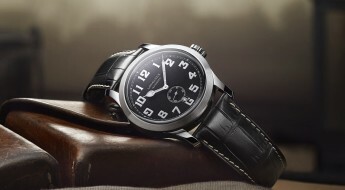 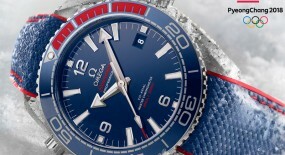 Power reserve on this timepiece can last up to 38 hours, when fully wound. 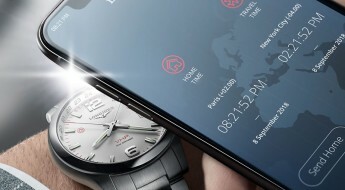 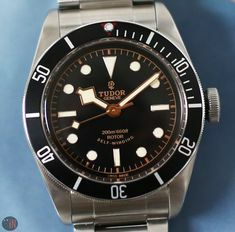 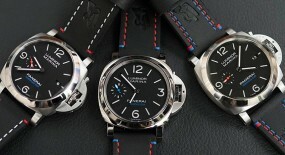 Mounted to the watch is either a: black rubber strap, secured by a double security folding clasp, integrated with a diving extension; a black matte cowhide strap, secured by a diving buckle; or the unique stainless-steel Milanese loop bracelet, also secured to the wrist by a double security folding clasp, integrated with a diving extension. 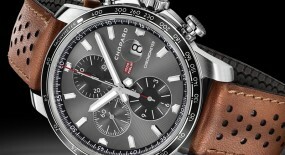 Model references pertaining to this timepiece will vary depending on the chosen strap or bracelet. 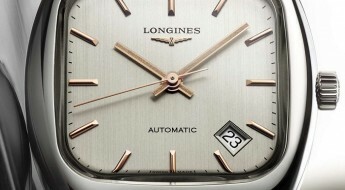 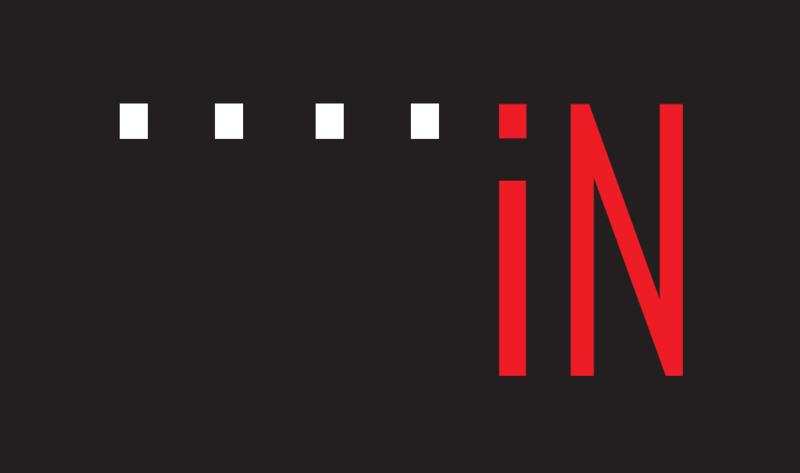 For more updated information visit the official Longines website here.